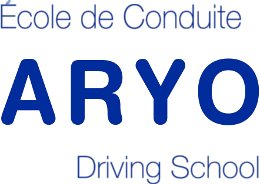 At ARYO Driving School, we offer a wide range of services that guide you to achieving success in being a safe and effective driver in today's cities and beyond. Whether you're looking to obtain your driver's license and complete the Road Safety Education Program or just need a few extra hours of practice on the road to brush up on your skills, we are here to help. Standard transmission training. 4 hour package deal. Call Now! 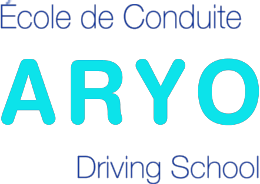 Defensive Driving Program offered to groups. Please Inquire. Same-day SAAQ road test prep – 1 hour of in-car practice at the SAAQ test site under test conditions, use our certified car for the road test and we bring you back to your home after you've successfully obtained your driver's license. Call Now! Familiarize yourself and learn to drive with a GPS system. Please inquire.